Don't be afraid to fall. 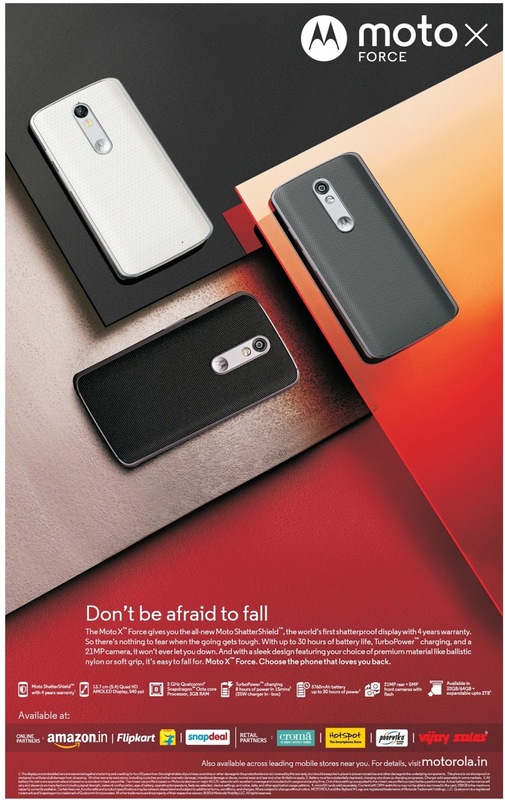 The Moto X Force comes with all new Moto ShatterShield. It is the world's first shatter proof display with 4 years warranty. It gives 30 hours of battery life , Turbo power charging and 21 mega pixel camera. 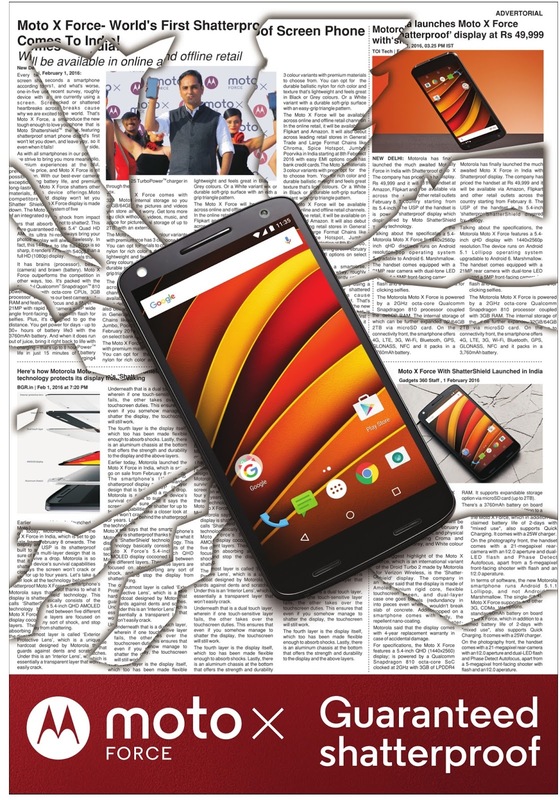 For more details, Visit motorola.in Purchase it now before stocks last. Hurry up !